Please refer to our stock # TR608 when inquiring. A great present for the person who has everything! 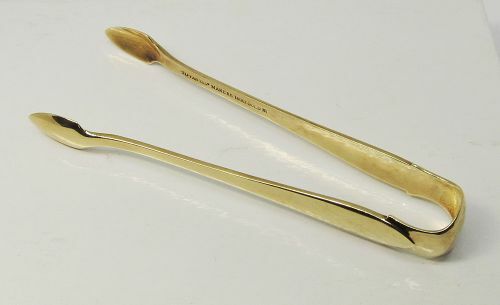 These 18 karat yellow gold Tiffany & Co. sugar tongs are nearly a century old. They can be used as part of a tea or coffee service or delicately place ice into very fancy drinks. The length of the tongs is 4” and the width at the widest part on top is ½”.